Maarten de Boer & Ron Batzdorff for NBC. On Thursday, May 24, the fourth annual Red Nose Day Special will air on NBC as some of the biggest names in TV, film, and music come together to help end child poverty, and we have an exclusive look at the day with the celebrity portraits! In just three years, Red Nose Day USA has raised over $100 million impacting the lives of over 8.3 million children. This year's event will be kicked off with a few special episodes of some NBC favorites including a Celebrity Ninja Warrior for Red Nose Day special beginning at 8/7c, while a special installment of Hollywood Game Night will air one hour later at 9/8c. 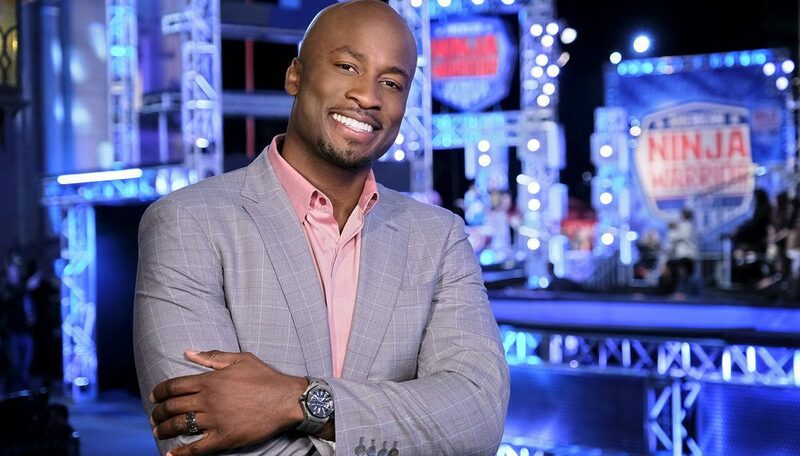 The longtime 'Ninja Warrior' host will finally tackle the course himself in NBC's 'Celebrity Ninja Warrior' special for Red Nose Day. Those special episodes will lead into the Red Nose Day Special at 10/9c, hosted by Chris Hardwick. The three hours of special programming will work together to raise money for the charity. The following stars have been confirmed to appear for the evening's fundraiser: Jack Black, Jennifer Garner, Kristen Bell, Kelly Clarkson, Julia Roberts, Ed Sheeran, Marlon Wayans, Sean Hayes, Ellie Kemper, Zooey Deschanel, Tony Hale, Sasheer Zamata, Jane Lynch, Akbar Gbajabiamila, Matt Iseman, Jack McBrayer, and many more will be taking part in the event. The 2018 event will feature a Red Nose Day-themed three-hour block of NBC programming. Ahead of the big night, viewers can purchase their own Red Noses at Walgreens and Duane Reade locations across the country, and this year they sparkle in celebration of the $100 million raised. Click through the gallery above to see some of your favorite stars don the Red Nose for charity.